Founding Editor Ira Sukrungruang is the author of Talk Thai: The Adventures of Buddhist Boy and Southside Buddhist (memoirs), In Thailand It is Night (poetry), The Melting Season (stories), and co-editor of the fat books What Are You Looking At? The First Fat Fiction Anthology and Scoot Over, Skinny: The Fat Nonfiction Anthology. His favorite candy is anything that has sour-sucking power and unhinges his jaw because of extreme gumminess. Founding Editor Katherine Riegel–who goes by Katie–is the author of Letters to Colin Firth, What the Mouth Was Made For, and Castaway. She writes for The Gloria Sirens , and tries to take her vitamin Ch (chocolate, of course) every day. Founding editor K.C. Wolfe earned his MFA at an institution in the Midwest, after considerable layovers in the Western parts of these United States. His essays and short stories have been seen in Gulf Coast, The Sun, Swink, Harvard Review, Redivider, Prime Number, Under the Sun, Cleaver Magazine and other publications. He lives, on average, in St. Petersburg, FL. Robert Annis received his MFA from the University of South Florida. He was nominated for the 2013 and 2014 AWP Intro Journals Project, and won the Bettye Newman Poetry Award in 2014, and the Estelle J. Zbar Poetry Prize in 2015. His poetry has appeared in Exit 7, American Tanka, Foothill, Oracle Fine Arts Review, and the Noctua Review. Ryan Cheng received his MFA in poetry from the University of South Florida. He was awarded the 2013 AWP Intro Journal Entry Award for poetry and the Bettye Newman Poetry Award in 2013. His poetry has appeared in Quarterly West, The Ignatian Literary Magazine, and elsewhere. 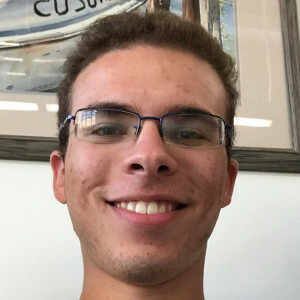 He currently lives in Tampa, Florida where he teaches professional writing at the University of South Florida and serves as a board member of YellowJacket Press, an independent small poetry press and the only publisher of poetry chapbook manuscripts in Florida. When he’s not teaching, he is probably somewhere eating phở, the cure-all. Andrew Miles hails from Northwest Indiana. He received a BA in English from Ball State University in Muncie, Indiana. While there, he served as a prose editor for The Broken Plate. At present, he writes nonfiction and poetry while pursuing an MFA at the University of South Florida. Drew loves classic cinema and deep dish pizza. During the summer of 2018, he did an 11,000-mile cross-country road trip with friends. Leslie Salas holds an MFA in Creative Writing and is a graduate of a Publishing Institute. 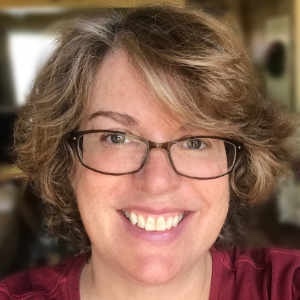 By day, she helps students in higher education master the art of effective communication and storytelling at an entertainment, media, and arts university. On nights and weekends, she writes in multiple genres, including poetry, prose, screenwriting, and comics. She’s presented on comics and pedagogy at several local and national conferences, including the Association for Writers and Writing Programs Annual Conference, and her work has appeared in The Southeast Review, SmokeLong Quarterly, Burrow Press’ 15 Views, Volume II: Corridor, and more. Her favorite confections are covered in chocolate frosting and sprinkles. Keep up with her on Twitter, Facebook, Instagram, and whatever else the cool kids are using these days. Alysia Sawchyn currently lives in Northern Virginia and teaches professional writing at a nearby university. Her writing has appeared in Indiana Review, Brevity, Fourth Genre, and elsewhere. You can usually find her hiking, in a yoga studio, or on Twitter. She is working on a collection of micro memoirs and is a great admirer of all sorts of pastries. More butter, more better. Ashely Adams holds a BS in Fisheries and Wildlife from Michigan State University and an MA in literature and writing from Northern Michigan University, where she was also worked as an associate editor for NMU’s literary journal, Passages North. She has been previously published in Heavy Feather Review, Permafrost, Flyway, Anthropoid, The Fourth River. Considers herself a pretty okay birder. 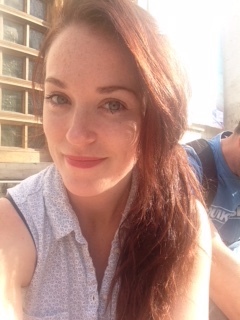 Casey Clague writes poetry and creative nonfiction in the MFA program at the University of South Florida. They live in Tampa where they serve on the editorial board of Yellow Jacket Press and read poetry for Sweet: A Literary Confection. Critical and creative work has appeared or is forthcoming in Action, Spectacle; Gravel; and Drunk in a Midnight Choir. Lauren Cross received a BA in English from Ball State University, where she served as a prose editor for their literary magazine, The Broken Plate. Currently, she writes creative nonfiction in the MFA program at the University of South Florida. 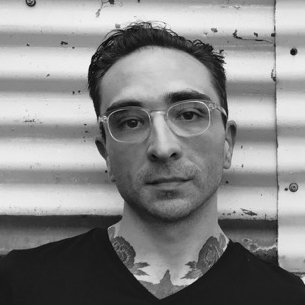 Benjamin Kinney has an MA in English from Northern Michigan University and is currently an MFA candidate studying creative nonfiction at the University of South Florida. His work has been published in Walloon Writer’s Review, Cartridge Lit, the Blue Fifth Notebook, and f(r)iction. His obsessions include David Lynch, Survivor, distance running, and Reese’s peanut butter cups. 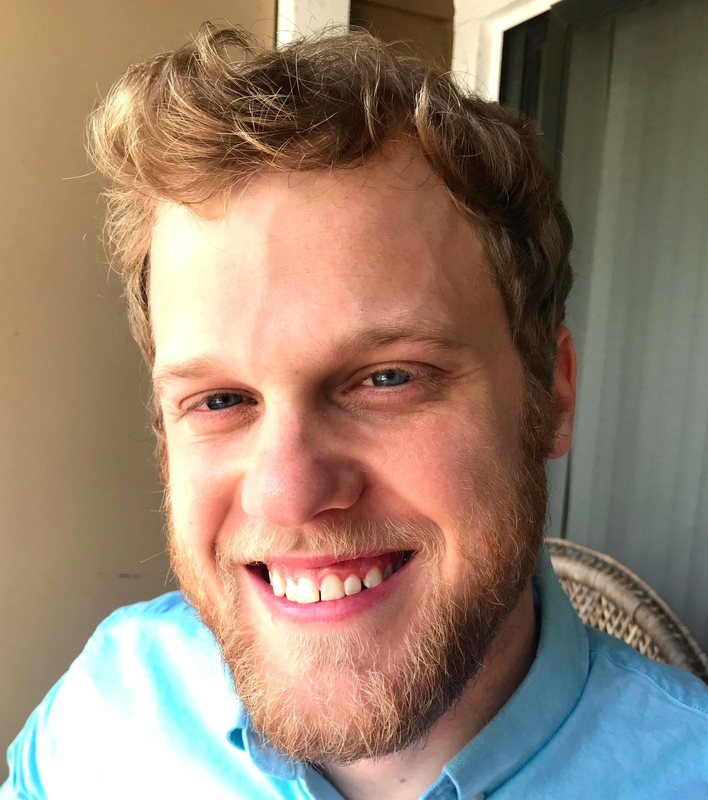 Zachary Lundgren received his MFA in poetry from the University of South Florida and his BA in English from the University of Colorado at Boulder and grew up in northern Virginia. He has had poetry published in several literary journals and magazines including The Louisville Review, The Portland Review, Barnstorm Journal, The Adirondack Review, and the University of Colorado Honors Journal. Although a Colorado native, Deedra graduated from the University of South Carolina-Aiken with a BS in Business Administration and from the University of South Florida with a M.Ed. in Instructional Technology. Her 15 year administrative tenure at USF in the English department keeps her busy wrangling cats (faculty) and occasionally teaching engineers. She has joined Sweet as a jack of all trades, including finances, typesetting, chapbook making, and cat wrangling (editors). Her claim to fame is being mommy to Bodhi, the unofficial Sweet mascot. Andy graduated The University of Salford with a degree in Aeronautical Engineering when programs were written on punch cards. Andy is a Flight Simulator Engineer during the day working on Sweet in his fun time. The second best Sweet going is frozen McVities HobNobs dunked in a good cup of tea. Taylor’s of Harrogate – Yorkshire Tea of course, not as though there is any other. Nicholas Brown graduated from Auburn University with a B.A. in English. Since graduating, he has worked as a door-to-door salesman and middle school teacher before pursuing his MFA in fiction at The University of South Florida. He enjoys coffee, Tiramisu, assorted deli meats, and creating hand-made furniture with the help of drills and large saws, which he’s found makes the process infinitely easier. Jessica Inman studies fiction writing at the University of South Florida, where she is pursuing an MFA in Creative Writing. She graduated from the University of Central Florida, with a degree in journalism. Before coming to USF, she worked at a newspaper where she wrote obituaries and stories about aging, among other things. Kate Kobosko is a senior at Eckerd College, double majoring in Creative Writing and Human Development. Primarily, she writes poetry and fiction. She is the co-editor-in-chief of the Eckerd Review. After graduation, she will continue writing, adopt a dog, and (hopefully) attend graduate school. Zoe Lennox is a senior at the University of South Florida studying history with a minor in creative writing. Poetry is Zoe’s main concentration, but she also enjoys writing historical fiction. After graduating in the spring of 2019, she plans on traveling Europe and working on her first chapbook. 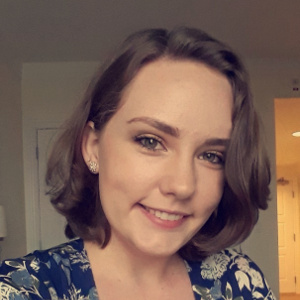 Samantha McGilvray is a senior at the University of South Florida studying professional writing, rhetoric and technology with a minor in linguistics. She enjoys tea, embroidery, plants and spicy food, not necessarily in that order. After graduating, she hopes to adopt a cat (or two) and work as a technical writer. Javier Rosario is a senior at Eckerd College, studying Creative Writing and Literature. He writes fiction, dabbles in film, and is the Managing Editor of The Current newspaper. After graduation, he hopes to work in journalism, go to graduate school, and one day become a professor. 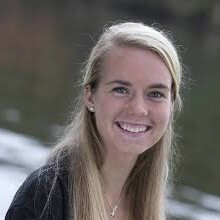 Emily Vaughn is a graduate from the University of South Florida, where she spent her last semester as an intern for Sweet. Emily has also earned an A.S.+A.A. in Costume Design and Technology from Florida School of the Arts. She currently lives in Florida, and hopes to be a playwright and novelist.